Luxurious fabrics and impeccable tailoring are Zuhair Murad signatures, both of which are highlighted in these outfits. 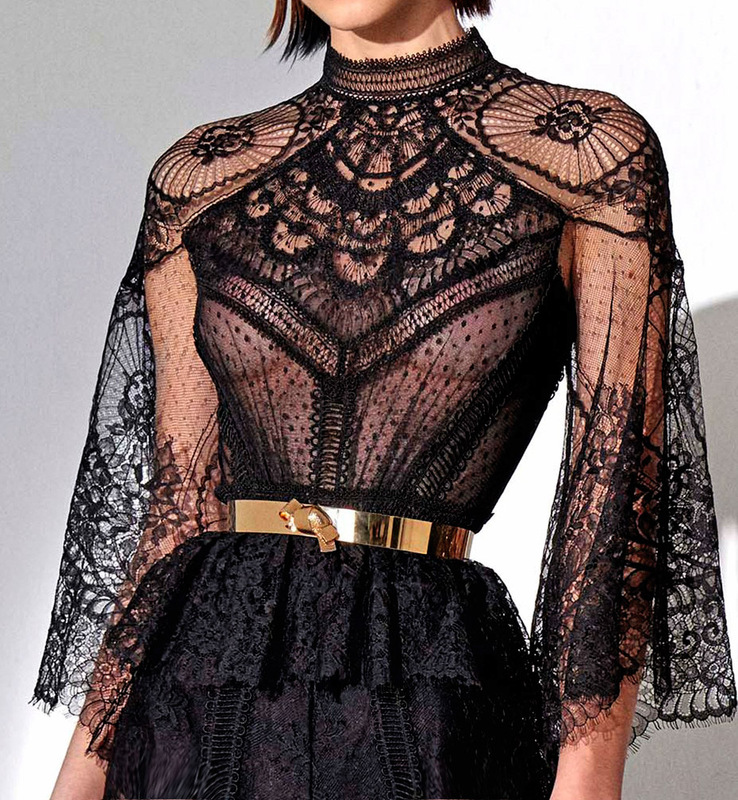 Galia Lahav’s Fashion House masters the art of creating high-end custom-made gowns and evening wear. With the brand’s famous illusion backs, cascading silk tulle skirts, exclusive blended fabrics and it’s the art of body-contouring, Galia Lahav has created a brand, which is a household name in the fashion industry. Handmade by the top seamstresses in TLV, using the finest and most innovative sewing techniques. Fans of dramatic silhouette and exquisite textures, you’re in for quite a treat! 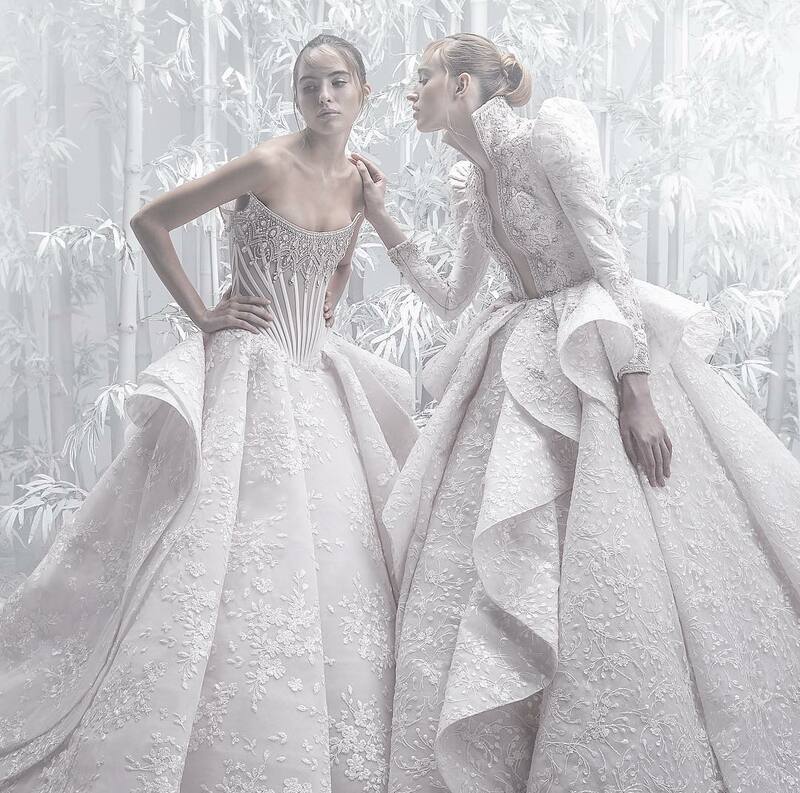 We have Mark Bumgarner’s Fall 2019 couture collection to share with you today, and it will take your breath away. 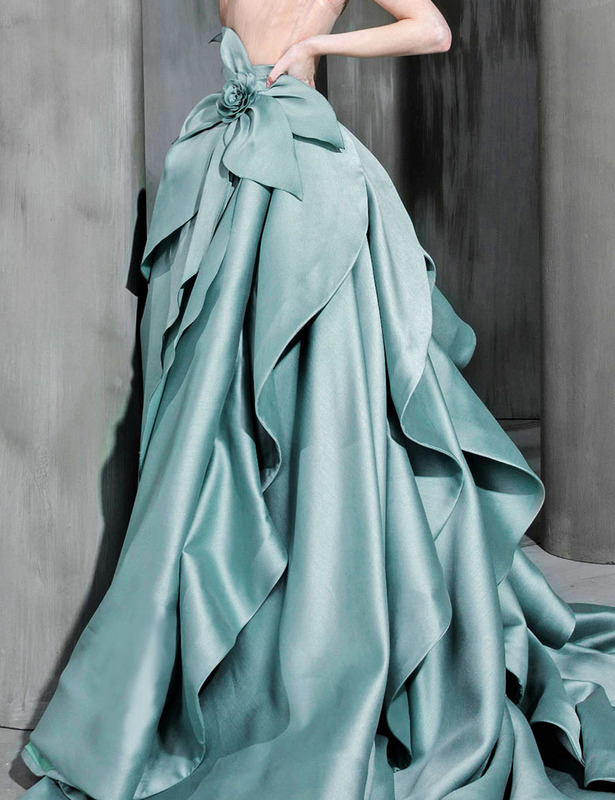 Enchantingly delicate and Super magical gowns by MICHAEL CINCO who is our newly added favourite! MUST HAVE: Gaby Charbachi 's 'Belle Epoque' dresses are named after the period in French history that translates to "beautiful era"
Gaby Charbachi 's 'Belle Epoque' dresses are named after the period in French history that translates to "beautiful era" - many details inspired by that time are reflected in these design. Harvey Cenit creates a fairy tale works of art that beautifully balance the delicateness of femininity and modern couture’s opulent appeal. The new ELISABETTA FRANCHI Spring/Summer 2019 collection catches the excitement of the urban life, embedding the fashion extravagance.